For those of us obsessed over the political life of the Green Party, it has been a fascinating summer, as we have grappled with questions of how to re-cast ourselves as a political force in austerity Britain. 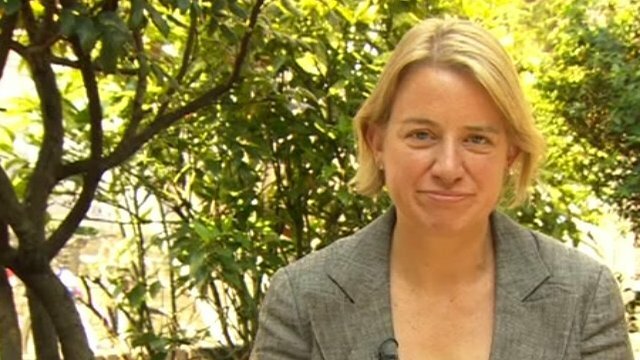 Yesterday, it was announced that Natalie Bennett was comfortably elected our new Leader in a strongly fought election. As a result, clarity around some of the priorities and challenges ahead for the Greens begin to emerge. I’d firstly like to congratulate Natalie on her success yesterday. Her performances in election hustings became tangibly stronger each time I caught footage of them (and a massive thanks to all those members who kindly recorded these sessions and made them available for viewing). Whilst in this blog I indicated my support for Peter Cranie’s candidacy, I have no doubt in her ability and feel confident that we are in good hands moving forward and think it is important for members to rally around Natalie during the coming months. What do I think we can expect from the new Leadership? In many ways, there will be continuity with the approach taken by Caroline Lucas in broad policy terms, although I am aware that some differences in interest and nuance will gradually become apparent. A focus upon core electoral issues such as public services, jobs and housing will be a good basis from which to start making her mark. Without the pressure of MP duties that Caroline Lucas had to contend with however, it should be possible for the new Leader to take a driving role in making the party even more fit for purpose than before. My experience of Natalie in action is that she leads from the front and will be an inspiring role model for member engagement. From her time as Internal Communications Co-ordinator on GPEx, she will have a strong sense of how we can organisationally improve our effectiveness and make the most of scant resources. As a journalist and social media outlier, I expect her to be mindful of how we communicate our policies consistently, clearly and thriftily across the country. By indicating measurable targets for winning European and Council seats, she has aleady provided members with the means in which to reflect on her performance. As a feminist myself, I have to say I am heartened to see the key position in the party being taken by someone with a proven commitment to gender equality and diversity, coupled with the understanding of the particular challenges in moving this agenda forward within the party, as she experienced in launching Green Women several years ago. I have hoped that she will invest capital in supporting those of us working to make the Green Party more representative of ethnic minority, LGBTIQ, disabled, working class communities and those sections of society not usually courted by the Greens. I’m also pleased that she supports early reform of the gender equity rules in the Leadership campaign that may have paradoxically discriminated against the candidacies of Alex Phillips and Caroline Allen for Deputy Leader and the undemocratic and increasingly discredited Party Spokesperson model. Looking at the press coverage so far, in spite of Natalie’s strong CV, there has been a subtle undercurrent about her own performance in elections that she has fought. During the campaign, Natalie stressed that she saw herself as a team player nurturing others rather than using the role as a platform for her own election success. I think compared to other party leaders, this does differentiate her, marks out her integrity (whilst saying something crucial about Green values) and should be underscored as she begins building her public persona. As the election results attest, it was a tightly fought race. I’d therefore hope that she reflects upon the issues raised by other candidates (particularly her nearest competition, Peter Cranie) are folded into her strategy for the next couple of years. Whilst she touched upon these points herself during the campaign, his strong commitment to social justice, fundraising more comprehensively and ensuring that we resource the Leader position to ensure that political power within the Greens is not confined to those with the financial resources to work for nothing. The turn-out, at around 25% of the membership, was also disappointingly low and some thought needs to be given by all of us committed to building the party as to why such a crucial contest failed to connect with the majority of our membership. That said, I personally feel that this competition invigorated my passion for Green politics and has marked out several politicians to watch out for in the future. I’ll be attending our autumn conference this weekend in Bristol and trying to get a sense of how the result has been received by the membership. I’ll be blogging throughout the conference, so if you see me there, please come, introduce yourself and share your reflections on the last few months! ← Who gets my vote to be the next Green Party Leader?